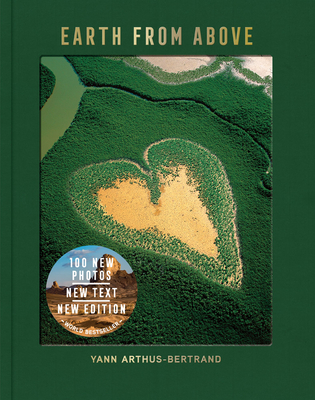 Since its original publication in 1999, Earth from Above has been a touchstone for the environmental movement, selling more than three million copies worldwide. After multiple journeys across five continents and sixty countries, acclaimed aerial photographer Yann Arthus-Bertrand created a comprehensive, unforgettable survey of the earth from a spectacular vantage point. For almost two decades, Arthus-Bertrand has continued to travel and photograph the planet, collecting new material that has never been published. In this updated edition, he reveals more than 100 new images and presents essays on current environmental and humanitarian issues by esteemed experts, including Nicholas Stern, Jane Goodall, Runa Khan, and Mathieu Ricard. With thrilling new photography, essays, and revisions throughout, Earth from Above is an up-to-date portrait of our world that poignantly juxtaposes evidence of humanity’s destructive impact with the planet’s raw beauty. Yann Arthus-Bertrand is the award-winning photogra­pher and author of more than 40 books. He is the chair­man of GoodPlanet Foundation, a nonprofit association for the promotion of sustainable development, and the director of the documentary films Home and Human. Arthus-Bertrand lives in Paris.